British Columbia Golf is a member-based organization governed by the British Columbia Golf Association (BCGA). It is the governing body of amateur golf in British Columbia, representing more than 56,000 members at over 300 clubs across the province. Recognized by the Ministry of Community, Sport & Cultural Development as the Provincial Sport Organization (PSO) for golf in the province, British Columbia Golf is responsible for promoting participation and passion for the game of golf in British Columbia. British Columbia Golf is also involved in national golf affairs through its affiliation with Golf Canada and the other provincial golf associations. Internationally, British Columbia Golf is affiliated with the Pacific Northwest Golf Association, the Pacific Coast Golf Association and Junior America’s Cup, as well as being an active member of the International Association of Golf Administrators (IAGA). British Columbia Golf actively conducts annual championships, programs and services to help shape the present and future of golf in British Columbia. The development of athletes and coaches, the Playground to Fairway (P2F) School Golf Program and the Public Player’s Club are only some of the initiatives British Columbia Golf leads for golf in the province. 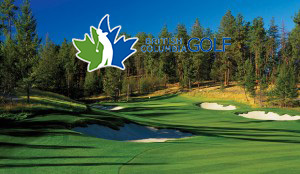 British Columbia Golf also administers the Rules of Golf, Handicapping and Course Rating. The history of British Columbia Golf can be traced back to the first men’s championship conducted in 1893. The Bostock Trophy was awarded to the Men’s Amateur Champion starting in 1894 and the Flumerfelt Trophy was first awarded to the Women’s Amateur Champion in 1905. Both of these trophies are still awarded today. British Columbia Golf, as it exists today, was formally established on October 1, 2004, following the amalgamation of the British Columbia Ladies Golf Association and the British Columbia Golf Association. A voluntary Board of Directors and a newly established Zone Council make up the organization from a leadership perspective, delegating the day-to-day operations and the general administration duties of British Columbia Golf to its staff members. British Columbia has long enjoyed a reputation as one of the premier golf destinations in North America. With unparalleled variety ranging from lush coastal rainforests to semi-arid desert, and spectacular natural scenery offering everything from breathtaking mountain views to ocean vistas, British Columbia’s golf courses offer something for everyone. The International Association of Golf Tour Operators (IAGTO) named BC as the Best Golf Destination in North America in 2007. In recent years, 10 new British Columbia golf courses have made it to the lists of “Best New Canadian Golf Courses” as awarded by ScoreGolf Magazine, including a sweep of the top three in 2010: The Ridge Course at Predator Ridge in Vernon, Shadow Mountain in Cranbrook and Redstone Resort in Rossland. The province’s popularity is due in large part to world-class courses designed by leading-edge golf architects. Arnold Palmer, Jack Nicklaus and Robert Trent Jones, along with well-known Canadian architects such as Les Furber and Thomas McBroom, are among the many who have worked their magic in British Columbia.